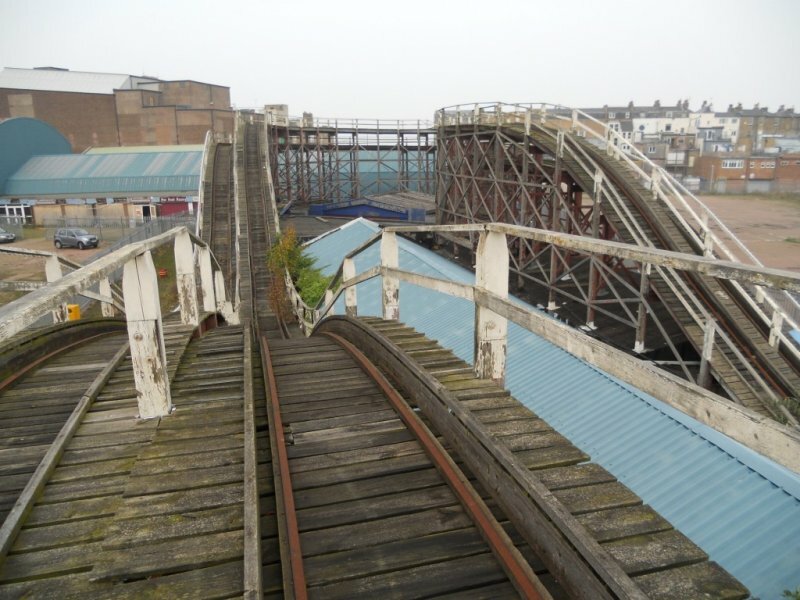 The Scenic Railway at Dreamland Margate was constructed in 1908 and was one of a number of this type of ride that was constructed in the UK around this time. 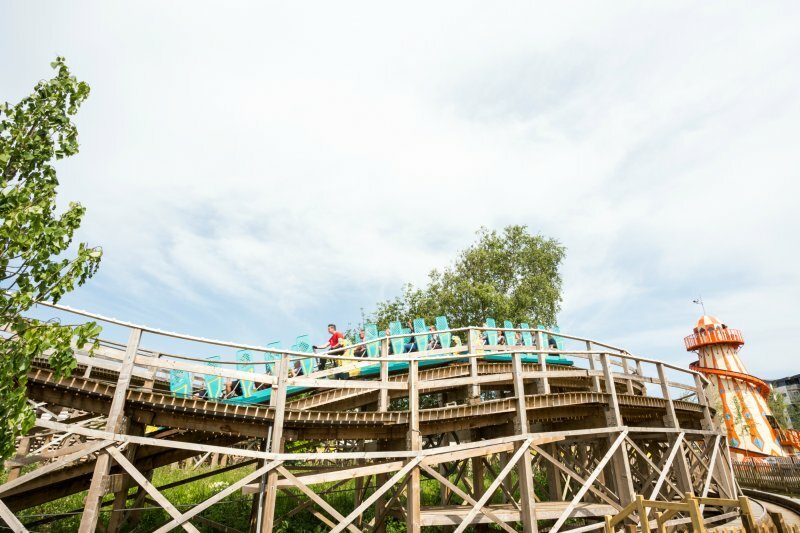 Although it has the appearance of a “roller coaster” it differs from the slightly later rides, that are now considered to be true roller coasters. 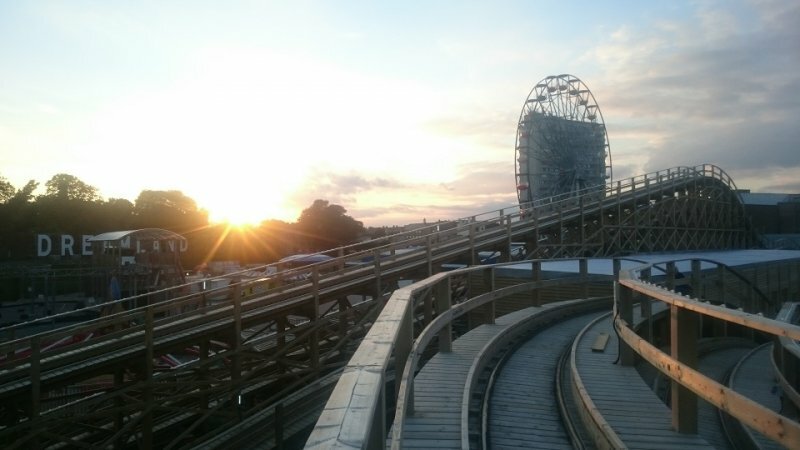 The principle difference being that the cars are not captive on the track, it runs on flanged wheels only, whereas a true coaster, (such as the Big Dipper at Blackpool Pleasure Beach) is captive on the track and has three sets of wheels. 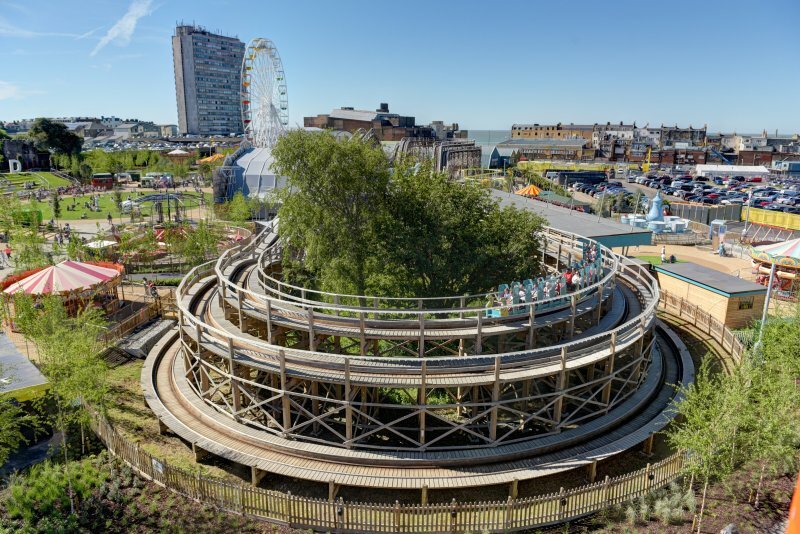 The Margate Scenic Railway is similar to the Scenic Railway at Yarmouth which still has it’s pictorial scenes. They are also different from later coasters in that they have on board the train, a brake man. 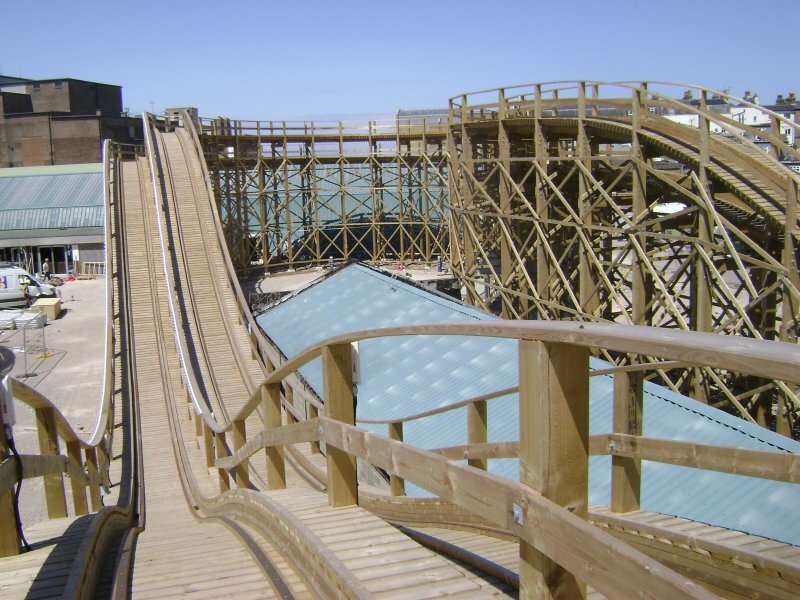 Dream Land closed in 2003 and the Scenic Railway suffered a significant amount of damage caused by fire in 2008. It was listed as a grade 2 structure and as such was subject to significant restrictions during the refurbishment. The fire also completely destroyed the maintenance building and the trains but the haul system was undamaged. 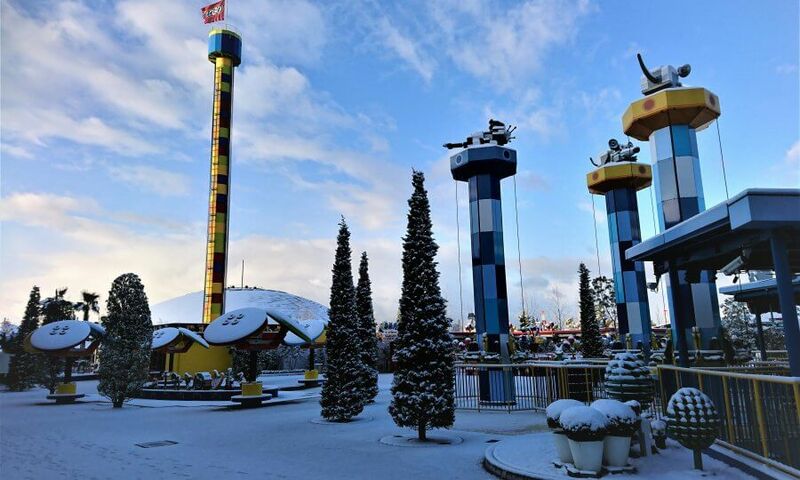 Therefore, in order to repair and restore the ride to a fully functional ride again, the haul system was refurbished, the track and supporting structure were repaired (albeit extensively) and new trains were provided. The Attraction Safety Team completed the Pre Use inspection of the “new” parts of the ride i.e. the trains and control system including all of the elements of the Pre Use. 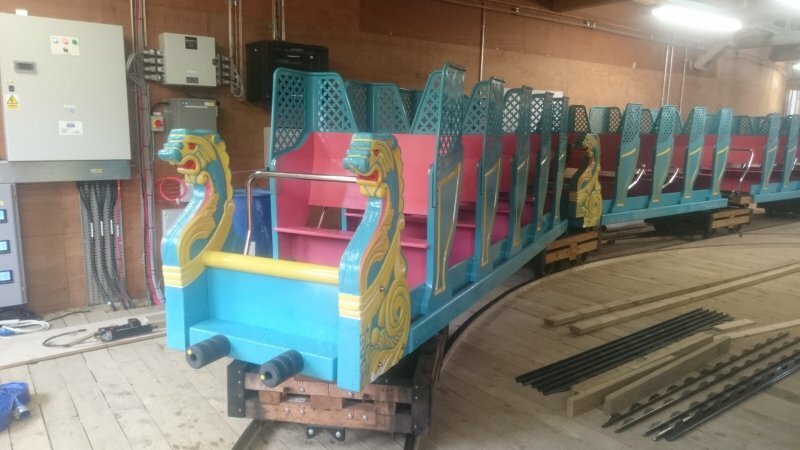 Due to the requirements of retaining as much of the originality or authenticity of the character of the ride the trains were constructed from timber and retained many of the features, such as the carved wooden sides of the trains which incorporated sculpted figures. The design of the timber chassis in particular created several challenges for the designer and manufacturer.